Environmentalism existed before Silent Spring, and media played important roles in pre-Silent Spring controversies. When environmentalism became a more formidable force after Rachel Carson's 1962 book, environmental journalism grew with it. Some news organizations established beats, staffed by pioneers like the New York Times' Gladwin Hill, and the Houston Post's Harold Scarlett. Beat or no beat, reporters found themselves covering issues like dioxin, smog, endangered species and global warming. The history of environmental journalism after Silent Spring remains largely to be written, but one important element in that history will be the rapid growth to prominence of the Society of Environmental Journalists. This organization exploded from a handful of journalists in 1989 to a sophisticated national organization with more than 1,100 members eight years later. With a $350,000 budget fed by foundation grants, it maintained a professionally staffed office, published a quarterly journal and member directory, offered on-line services, and held annual national conferences. By 1997 it was the most important organization of environmental journalists in the United States. SEJ's growth was the more remarkable because it had renounced certain growth possibilities on behalf of what members believed to be an important journalistic virtue — independence in both reality and appearance from organizations and institutions with a vested interest in environmental issues. As a matter of policy, SEJ neither sought nor accepted money from non-media corporations, government regulatory agencies, or environmental groups. In addition, full participation in the organization was limited to "working journalists." Academic and part-time free-lance members were relegated to non-voting status. Most signficantly, membership at any level was prohibited for persons doing public relations or lobbying on environmental issues. As could be expected, there were gray areas in both definition and application of these policies, and they generated controversy for the organization. The membership issue, in particular, consumed large amounts of directors' time and attention. Moreover, the long-range impacts of these policies remained to be seen. By 1997, membership had leveled off, and directors were anticipating tight budgets and program cuts. Still, the organization experienced growth well beyond its founders' expectations. If standing firm for the virtue of independence was a gamble, it apparently had paid off. Independence of vested interest was not always considered a journalistic virtue. Political parties subsidized early 19th century newspapers. The rise in the 1830s of papers supported by advertising tied to mass circulation brought with it claims of independence from party. These stirrings of the ideal of journalistic objectivity were reinforced and extended by complex economic, technological, social, and cultural developments. Among these were the introduction of the telegraph, the rise of the press associations, and the movement toward professionalization of journalists. By the 1920s, journalistic practice had institutionalized the ideal of the journalist as an independent reporter of facts kept separate from values and uninfluenced by the reporter's own beliefs and attitudes. From the 1960s, the ideal was increasingly questioned by scholars and journalists. Nelkin summarized the scrutiny of objectivity this way: Reflecting the political mistrust of the period, 1960s media analysts suspected that the "objective" press was simply in collusion with institutions of power; objectivity was viewed merely as a mystification and as a convenient myth. Journalists' efforts to maintain objectivity, according to sociologist Gaye Tuchman, were only a "strategic ritual"; subjective perceptions inevitably entered their writing, while the tone of objectivity allowed reporters to avoid responsibility for their views. Similarly, Todd Gitlin argued that norms of objectivity only reinforced the "dominant hegemony"; by conveying an image of neutrality, journalists in fact strengthened the existing legacy of private control over production. Harvey Molotch and Larilyn Lester denied even the possibility of objectivity; all news is manufactured, for there is no "world out there" to be objective about. Membership and funding issues were a part of the debate within SEJ over objectivity in environmental journalism. The question of advocacy was perennial. Do most environmental journalists get into the field because they are environmentalists? If so, to what extent does that affect their work? Should they be advocates because of the seriousness of the threat of environmental degradation? Are they advocates, regardless of personal belief, simply by virtue of placing environmental issues on the agenda? These questions were debated repeatedly in SEJournal, at conventions, and on-line. However, after an early false start toward evaluating the objectivity of members' reporting, SEJ backed away from trying to police through membership decisions the question of advocacy journalism arising out of personal belief. As far as SEJ was concerned, its members were free to engage in — or not engage in — advocacy journalism. What they could NOT do was accept payment for advocacy from any but their media employers. SEJ resolved these issues during the years when it was defining itself as an organization. The way it resolved them suggests the waning credibility and utility among journalists of the ideal of objectivity considered as separation of work from personal beliefs. However, at the same time it suggests the continuing strength within the practice of journalism of the ideal of objectivity considered as independence from vested interest. SEJ's policies on outside funding and membership created trouble and consumed time for officers and directors, but also served as defining standards around which journalists could coalesce into an effective organization. "I always believed in the value of networking, of the subliminal training that comes from an association with one's peers," David Stolberg said in recalling his role in founding SEJ. That belief, plus involvement with conservation and environmental journalism during a 38-year career with Scripps Howard, led Stolberg to the idea of a society for environmental journalists. "It was my concept," he said, and charter members agree. "I'm extraordinarily proud of it." Stolberg, assistant general editorial manager of Scripps Howard, floated the idea to the 1987 winners of the Edward J. Meeman Awards for environmental reporting, which he administered. "I asked if there was any interest — and there was none," he recalled with a laugh. "The idea could have died aborning." The next year's Meeman winners were enthusiastic, however, and Stolberg wrote to sound out other prize-winners. The response was positive. Eighteen people met as a planning group on Dec. 6, 1989, in the Washington, D.C., offices of the Environmental Health Center of the National Safety Council. Discussion at that first meeting foreshadowed several characteristics of SEJ. One was that it would see itself as a group of working journalists helping each other cover the environment. Minutes paraphrase Jim Detjen of the Philadelphia Inquirer as saying the meeting "reflected the desire of many environmental writers to facilitate sharing information by such means as networking, a newsletter and an annual convention." Another discussion point was membership. Questions were raised about eligibility for free-lancers, trade-press writers, students and others outside the conventional press. Rae Tyson of USA Today "noted that the nature of the organization would be decided by the final conclusion on who should be allowed to join." Another concern broached in the first meeting was journalistic independence. Detjen urged the group to "set modest goals and proceed slowly, avoiding expensive programs that would require dependence on outside interests such as oil companies. Bob Engelman noted that the group should also keep its distance from environmental organizations as well as from corporate interests," the minutes relate. According to Bud Ward, executive director of EHC, concern may have extended to holding the meeting at the National Safety Council, a non-profit non-governmental public service organization. "There was — I hope there was — some trepidation about meeting at our place," he recalled. "Because of the need to be independent, there was some anxiety in the room." Organizational work proceeded quickly. Interim officers and board members were elected in February 1990, with Detjen as president. The law firm Baker & Hostetler was hired to seek tax exempt status. On Feb. 14, 1990, SEJ was incorporated as a non-profit organization in Washington, D.C. Bylaws were adopted April 2, 1990, a membership drive was launched in June 1990, and on July 9, 1990, the board held its first formal meeting, accepting 79 applicants as members. Status as a 501(c)3 nonprofit educational and charitable organization was granted by the Internal Revenue Service in August 1990. Alongside the formalities, SEJ retained an ad hoc and volunteer character. "Jim (Detjen), (Bob) Engelman and I were running the organization out of our desks and newsrooms," Tyson recalled. "The workload grew, and we knew that as soon as we were able to afford it we would have to hire some staff." By then the board was launched into programatic work as well. Regional programs were planned in the Washington, D.C., area in cooperation with the Society of Environmental Toxicologists and Chemists and Environmental Health Council. A member survey indicated interest in a directory, and journalist Amy Gahran began work, first as a volunteer and then as SEJ's first employee, to create a directory and member data base. Interim directors Bowman Cox and Kevin Carmody planned the organization's quarterly newsletter, SEJournal, the first issue appearing in fall 1990. Directors also entertained university proposals to host SEJ's first national conference, accepting an offer from the University of Colorado in Boulder. The weather in Boulder was sunny and crisp for SEJ's first annual conference Oct. 3-6, 1991. Many attendees took personal time off and paid their own way, and Detjen was surprised by the turnout of 250: "Two or three weeks before the conference we only had about 35 people signed up. But it exceeded all expectations," he said in an SEJournal report. Setting a pattern for later conferences, there were sessions with experts, workshops on reporting techniques, field trips, and informal networking. Among speakers were U.S. Sen. Tim Wirth, Democrat of Colorado, and Amory Lovins of the Rocky Mountain Institute. Ward gave a seminar on EPA toxic release information. Steve Ross of Columbia University spoke on newsroom computer use. At a panel on risk reporting, Detroit News columnist Warren Brookes and the Natural Resources Defense Council's Janet Hathaway reportedly "nearly came to blows during a discussion of Alar." Some attendees complained about insufficient time to "shoot the breeze with other reporters," but one group compensated by organizing an ad hoc tour of the Rocky Mountains. Members also elected a board, which then chose officers. Detjen was elected president; Tyson, first vice president; Teya Ryan of Turner Broadcasting, second vice president; Noel Grove of National Geographic, treasurer; and Bob Engelman of Scripps Howard News Service, secretary. Other directors elected at the conference were Tom Meersman of Minnesota Public Radio, Kevin Carmody of the Charlottesville (VA) Daily Progress, and Julie Edelson, of Inside EPA, all of whom had been on the interim founding board, and Emilia Askari of the Detroit Free Press; Joe Daniel of Buzzworm; Randy Lee Loftis of the Dallas Morning News; Dave Ropeik of WCVB-TV, Boston; and Phil Shabecoff, by then at Greenwire after leaving the New York Times. SEJ was finding financial support. At the time of the first annual conference, it had collected $16,000 in membership dues from 580 members. Crucial outside support came from Scripps Howard. In addition to the $2,700 from Scripps Howard Newspapers for startup legal expenses, the Scripps Howard Foundation in 1990 gave a three-year grant of $15,000 for educational activities. Cox Newspapers of Atlanta gave $5,000 for startup costs. The University of Colorado donated $10,000 for the conference. Reporter Don Behm of the Milwaukee Journal gave a $300 honorarium. Membership was growing beyond initial expectations. "In our wildest dreams the organization would be 250 members," Tyson recalled, but by the end of 1991 it was more than twice that at 622. A breakdown points both to the predominance of newspaper journalists in SEJ and its broad appeal to others. There were 435 active members, 113 associates, 73 academics and one honorary (Stolberg). Of active members, 262 worked for newspapers, 57 for magazines, 52 for newsletters, 17 for news services, 52 in television, 17 in radio. Eight percent were freelancers. Of academic members, 34 were students, 36 teachers, 25 employees of university or college publications. Members came from all regions of the country. In two years, SEJ had grown from an ad hoc gathering of 18 people in a Washington conference room to a national organization with 600 members and $29,000 in the bank. It was a tax-exempt educational non-profit organization with support from major media companies and foundations. It had launched a journal. Directors had been duly elected by members at a successful national conference. SEJ was on its way. "We doubt that we will ever become a slick operation," Detjen wrote in a column apologizing for delays in processing applications. "We expect to always remain a bunch of working journalists who are trying to help each other do a better job reporting about some of the most important stories of our time." SEJ's establishment as a going concern took place in the context of self-imposed limitations on the growth possibilities it would pursue, particularly in outside funding and membership. Funding was an issue from the beginning, Detjen recalled, with founders seeking to avoid even the appearance of conflict because of the controversial nature of environmental issues. Early overtures of corporate support were turned down. "We said no. No corporate money, no environmental group money," Detjen said. Initially directors wanted to limit funding to media corporations, but quickly found those pockets to be relatively shallow. Early in 1992 Detjen "began reaching out to people I knew" — people like John Peterson Myers, a Philadelphia ornithologist and executive director of the W. Alton Jones Foundation. One day Myers "came to the newsroom of the Inquirer, and I sat down on a computer and hashed out the proposal, and in a remarkably short time we had a $50,000 grant." A three-year grant from the Charles Stewart Mott Foundation came through at about the same time, and "suddenly by the summer of 1992 we had the money to hire a full-time executive director," Detjen recalled. Foundation funding, while welcome, was nevetheless problematical. It was "very hard to find a pure foundation," Detjen observed. He told members at Boulder in 1991 that directors were "grappling" with standards for foundation funding. "There's little doubt the group would steer clear of foundations clearly associated with environmental groups or industry," he was paraphrased as saying, "but some family foundations occupy a grey area in that they support environmental advocacy as well as media activities." Membership issues were similarly troublesome. When the founders met to lay the groundwork for SEJ, they knew pretty clearly what they wanted. "It would be an organization of professional journalists," Tyson recalled. In an early meeting, membership was aimed at "bona fide journalists and photojournalists from newspapers, magazines, television, radio, newsletter and other media." At first directors settled on two membership categories, active and academic. "We always saw a role for ourselves helping prospective journalists and providing a support network for teaching," Tyson recalled. 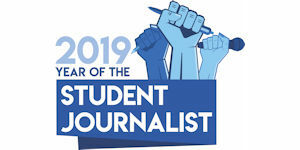 Stolberg soon suggested an associate category "to cover those active in the environmental journalism field but not themselves working journalists." The proposal was specifically aimed at Environmental Health Council director Bud Ward, and became known as the "Bud Ward amendment." Policy solidified in April 1990, when bylaws established four categories — active, associate, academic, and honorary. Significantly, only active members could vote or hold office. Membership in any category was barred for those who "engage in lobbying or public relations work relating to environmental issues." Active members would be "primarily engaged in gathering, writing, reporting, editing, photographing, producing or cartooning of news for dissemination by regularly published papers, radio and television networks or stations, news services, newsletters, magazines or other media." Acceptance of members, particularly associates, was at the directors' discretion. Problems surfaced immediately. In July 1990, when directors accepted SEJ's first members, there were, according to Tyson, about 20 "question marks," including free-lancers and some "obvious activists." Applications climbed rapidly, many from people who did not fit neatly into the criteria. Tyson chaired the membership committee. "From the beginning," he recalled, "there was awareness that there were people doing journalism for advocacy groups, whether industry, government or environmental, but not doing public relations or lobbying . . . But we never envisioned that it would be so desirable to be in the organization." Increasingly, Tyson's and the board's time were spent deciding who could belong in what category. Later, staff would take over handling the more clear-cut cases, but gray-area applications continued to be referred to the committee and the board. Decisions were made case by case. Periodically through early 1992 the board adopted guidelines to keep written criteria abreast of practice. At one point, in what turned out to be a false start, it began to base membership decisions not only on employment status but on work quality. Associate membership was available for free-lancers and part-timers who could "demonstrate through clips" that they earned most of their free-lance income from "fair and objective journalism practices, the product of which is available generally to the public." The board quickly got out of the business of evaluating the fairness and objectivity of applicants' clips — a monumental if not impossible job. But the decision to accommodate grey-area applicants as associate members became a permenent part of the SEJ structure. Loopholes continued to be probed by would-be members. Some applicants sought academic membership on the basis of part-time teaching, failing to mention they earned their living doing public relations. There were instances of "knowing misrepresentation," Tyson recalled: One applicant worked for an environmental engineering firm that did contract work for the EPA. He "wrote an occasional column in a free shopper. When he applied for associate membership, he left out references to his main means of support." Periodically the board refined the criteria, both to close loopholes and to respond to legitimate complaints. It limited academic membership to "bona fide students and faculty" and ruled that university public relations and management staff would not be eligible for any membership but honorary. It also made the prohibition of active status for free-lancers a "less rigid standard." Active membership was opened to free-lancers "predominantly" involved in producing work for general audiences. By April 1992 SEJ policy on membership had settled, for awhile at least. Active members could be full-time journalists on news organization staffs — the original intention — but could also be free-lancers predominantly producing work for outlets generally available to the public. Other free-lancers, part-timers, and others who "in the majority opinon of the Board of Directors, or its designee(s) will contribute to the attainment of the objectives of the society)," could become associates. Academic status was for "bona fide" faculty and students with an interest in environmental journalism. Only active members could vote or hold office (and thus exert control over the organization and its policies and programs). Those doing public relations work or lobbying on environmental issues need not apply. Tyson explained to the SEJ membership at Boulder that the goal was to make sure voting rights were limited to full-time working journalists with no income derived from advocacy or lobbying. "Advocacy" was a much-debated term in SEJ. 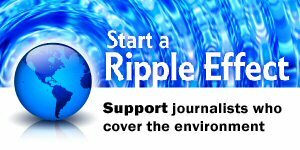 Some — probably relatively few — members saw their journalism as a mission to save the environment. Teya Ryan of Turner Broadcasting, a founding director, was an outspoken advocate for advocacy. She argued that everyone agreed on the need for environmental protection, so journalists should replace the creed of "balanced perspective" with a new view: "This is my perspective, and here are my suggestions for change." Detjen was a spokesman for the more traditional view. Advocacy journalism was misguided and counterproductive, he wrote, and he was opposed to it "if it means presenting a one-sided and unfair view of an issue." Environmental journalists should be advocates "only for the beat," he believed. SEJ's struggle with membership criteria, however, was not about individual members practicing advocacy journalism. After its early, short-lived foray into reviewing clips for fairness and objectivity, SEJ made no effort to police advocacy journalism among its members. Rather, the concern was to draw a line between journalism and public relations/lobbying, and to prevent SEJ itself from being cast as an advocacy organization. The line was drawn primarily in an attempt to establish SEJ's credibility as a disinterested forum. "It would be a terrible thing," director Michael Mansur said, "to have a board contest between an industry rep and an environmental group rep over the political orientation of SEJ." Tyson, however, pointed to the membership limitation's advantage of creating an attractive organization for some by keeping others out. "A lot of us are so tired of getting bombarded with info from PR people," he said. "We just wanted an organizaion where we could just be among ourselves." Why did some people care so much about SEJ membership that they would misrepresent themselves on applications? Tyson believed one reason was access — to the on-line discussion list, to the directory (the mailing list is available for a fee to non-members), and "to the most important environmental organization in the country." Executive director Beth Parke agreed that access was a motivation, but speculated also that more people were defining themselves as journalists who don't fit journalism's own traditional definitions. "This group has been struggling with issues of traditional journalism in a non-traditional time," she observed. 1992-97 were years of consolidation and increasing sophistication for SEJ. They were also years when leadership was tested by its own membership limitations. In each instance, the leaders found ways to maintain continuity while playing by the rules. Founding president Detjen left the Inquirer in 1994 to become the first Knight professor of environmental journalism at Michigan State University. Ineligible for active membership, he resigned as president and director. A post as ex officio director was created for him, however, and he continued to be active in SEJ. His role in the International Federation of Environmental Journalists (he was elected president in 1997) gave SEJ an international connection. Detjen's energy and commitment to SEJ were crucial, other founding members agree. "He presided over the birth of this organization," Tyson wrote in SEJournal. "Under Detjen there were plenty of firsts: first bank account, first grant, first staff, first crisis, first office, first fax machine, first conference, and first SEJournal." Detjen was succeeded by Emilia Askari of the Detroit Free Press, who served two years. During that time she joined co-workers on strike at the Free Press and became a free-lancer, retaining her status as an active member. Askari "helped SEJ hone its identity," Tyson wrote. "Under Askari we hired more staff, wrote a strategic plan, developed our regional activities, and generally increased SEJ's visibility worldwide." During her presidency, SEJ held its first leadership development retreat, a gathering in Boulder in July 1996 of board members, staff and members "who want to be among the society's next generation of leaders. Tyson, an original board member, became president in 1996 but did not complete a term. In February 1997 he left USA Today after nearly 20 years of environmental reporting and editing with Gannett publications. Several months later, he became an editor/reporter for Environmental Science & Technology, published by the American Chemical Society, a restricted membership organization whose publications are not generally available on newstands. "Once I accepted the job at ACS I automatically became an associate member, a status that does not allow me to hold office in SEJ," Tyson wrote. Noting that "Ironically, as one of the founders I helped write those bylaws," Tyson resigned as president and director. "To avoid even the vaguest appearance of impropriety, I decided that resignation is the only avenue available to me." Shortly thereafter he left SEJ altogether, having taken a non-journalism job with the National Highway Traffic Safety Administration. Kevin Carmody of Chicago Daily Southtown, the last of the original directors, became president in 1997. "We doubt that we will ever become a slick operation," Detjen had written in 1990. But in the period 1992-97, SEJ became an increasingly sophisticated organization. Initially run out of newsrooms and homes, it established an office in Philadelphia in December 1992, and shortly thereafter moved into modest but functional space on the first floor of a house in the Chestnut Hill area. As the organization grew, so did staff. Beth Parke, a radio journalist with 15 years experience, joined membership director Amy Gahran as part-time director of program development in September 1992, and was named full-time executive director in 1993. By autumn 1996, SEJ had four full-time employees: Parke, a systems manager, a programs manager and an administrative assistant. The organization also employed a part-time conference coordinator, a part-time accountant, and a newsletter editor on a contract basis. The staff administered an annual budget of more than $350,000, and carried out program planning, membership activities and other organizational tasks. Not least of these was outside fund-raising. SEJ's first major foundation funder, the W. Alton Jones Foundation, continued to be a substantial supporter, giving more than $350,000 to the organization through 1996. Other donors in the 1992-96 period included the Charles Stewart Mott Foundation, $75,000; the George Gund Foundation, $39,000; the Geraldine Dodge Foundation, $25,000; Town Creek Foundation, $10,000, and the Udall Foundation, $5,000. Among media companies and foundations, Scripps Howard continued to support SEJ with $20,000 in 1992-96; the Knight Foundation gave $50,000; Freedom Forum $25,000; the Turner Foundation and Turner Broadcasting Systems, $22,000; the Hearst Corp., $2,500; and the Kansas City Star, $650. SEJ also received $5,000 in 1993 from the National Institute for Environmental Health Sciences; the Rutgers Environmental and Occupational Health and Safety Institute, $10,000; Washington University, $25,000; and numerous SEJ members, a total of $1,000. Several grants were earmarked. Freedom Forum and NIEHS gave money for minority outreach; the George Gund Foundation for Great Lakes and environmental politics programming; Scripps Howard in part for development of regional activities; and the Turner Foundation for population and biodiversity programming. University grants were often were to defray expenses of conferences hosted by the university. National conferences were a high-profile member service. They provided a chance to hear, question, and write stories about authoritative, often controversial speakers; to learn about environmental reporting issues and techniques; and to network. Held in different regions, they afforded a first-hand look at a variety of environmental sites. Conferences were held in 1991 in Boulder, Colo.; 1992 in Ann Arbor, Mich.; 1993 in Durham, N.C.; 1994 in Sundance, Utah; 1995 in Boston; 1996 in St. Louis; and 1997 in Tucson. The 1996 convention, hosted by Washington University in St. Louis, was typical. The agenda was crowded. The 534 attendees chose from six environmental tours: a prairie restoration area; a floodplain management project; the Cahokia Indian Mounds; an atomic waste cleanup site; Monsanto Co.'s genetic engineering laboratory; and Times Beach, a St. Louis suburb evacuated because of dioxin contamination. Thirty-nine concurrent panels or workshops dealt with writing and computer skills, endocrine disruptors, recycling, mining, urban sprawl, air pollution standards, and other topics. The four-day conference included a plenary session on the 104th Congress and environmental protection; a debate, "Doomsayers vs. Naysayers," and a play about Rachel Carson. New directors were elected. Mini-tours focused on university research on rootfuels in Third World countries, ethnobotany, noise pollution, floods and mold, and workplace health. Receptions were held at the Missouri Botanical Garden, the Gateway Arch at the Mississippi River, and the St. Louis Science Center. Speakers or panel members included population scholar Paul Ehrlich; Missouri Botanical Gardens Director Peter Raven; Rep. George Miller, D-Calif.; energy conservation proponent Amory Lovins, in a repeat appearance; and agricultural reformer Wes Jackson. SEJournal was another service, offering a range of articles on environmental and journalism issues, as well as a platform for debate. A typical issue, that of Summer 1997, ran 32 pages. Edited by Noel Grove, it had on its front page a lead article on journalists' reluctance to include population issues in environmental coverage, an interview with the editor of the Portland Oregonian on that paper's seven-person environmental staff, and a first-person account of working as a reporter on the World Wide Web. Features inside included the president's column, a "Media on the Move" roundup of job changes, a state-by-state list of new SEJ members, a pro-con presentation on Web site disclosure of chemical emissions, a "Science Survey," a "Reporter's Toolbox," "Online Bits & Bytes," book reviews, a calendar of upcoming environmental conferences, and "Greenbeat," a state-by-state capsule roundup of significant environmental journalism in the preceeding quarter. The "Letters" feature included a spirited exchange of views on a decision by the University of Michigan to throw away the archives of the Meeman Awards for environmental journalism after funds to maintain the collection ran out. Online, SEJ offered separate lists for SEJ announcements and for confidential discussion of story leads, advice, and discussion of issues. In July 1996 it launched TipSheet, produced jointly with the Environmental Health Center and the Radio and Television News Directors Foundation. The twice-monthly feature provided story ideas, background and sources in the areas of environment, science, and health. In a year it developed 1,622 subscribers. The organization promoted regional conferences on environmental journalism, and sought to provide free training sessions in newsrooms. It also published a bi-annual member directory of more than 100 pages, listing members by name, addresses and professional affiliation, and breaking them down into categories to facilitate networking. Throughout this period of consolidation and growth, SEJ fine-tuned its approach to outside fund-raising and membership. Existing practice in regard to funding was codified in March 1995: SEJ would seek gifts and sponsorships "only from individuals, universities, foundations, and media corporations" and would publicly disclose its funding sources. Funding with "conditions that violate the (organization's) mission and objectives or interfere with the independence, credibility or objectivity of its programs and published materials" would not be accepted, and SEJ would retain "complete editorial control" over all publications, products and events produced with outside support. Adherence to the guidelines, however, failed to prevent a grant from the W. Alton Jones Foundation from generating controversy. In August 1997, the Wall Street Journal published an opinion article by Dr. Stephen Safe, a professor at Texas A&M University. Safe attacked concern over environmental estrogens as just another media scare, sparked in large part by the book Our Stolen Future. In a sidebar, Detroit News reporter Diane Katz criticized SEJ for conducting programs on the issue financed with money from the foundation, whose director, Myers, was a co-author of Our Stolen Future. Saying SEJ's job is to "help reporters ask the right questions, not give them answers," SEJ executive director Beth Parke and President Kevin Carmody responded to Katz' criticism. Every SEJ presentation on the issue had included a representative of Safe's point of view -- including Safe himself, they wrote. "It strikes us as intellectually dishonest for The Wall Street Journal to publish a sidebar to Dr. Safe's piece that implies that SEJ . . . may have promoted uncritical reporting of the issue." Only a "minuscule" portion of the $50,000 Jones grant went to underwrite panels on this particular issue, they said. Moreover, "the W. Alton Jones Foundation has never sought to control the content of our programs. And because of the expanding scientific, journalistic and public interest, it is an issue we would have explored regardless of any funding." Another controversy, not directly related to funding, raised similar issues because it would have linked SEJ's name to that of the Bacardi liquor concern. The Bacardi Foundation proposed to endow an environmental journalism awards program with $1 million. The program would have been co-sponsored by SEJ, and the awards would have been presented at the annual conferences. Participation would have increased the organization's visibility and provided a platform for influencing standards for the practice. The Barcardi Foundation promised to keep hands off the program, which was to be administered by the School of Journalism at the University of Missouri. Nevertheless, SEJ backed away in the summer of 1996, citing the awards' explicit link with a multinational corporation. The Bacardi Foundation insisted on having the company name on the awards, directors were told, and Detjen said he feared the prizes would be "devalued in the eyes of serious journalists." SEJ President Askari explained to members that the board was "uncomfortable" with the link to Bacardi because of its possible involvement in "an embarrassing environmental problem now or in the future," although she added, "We are unaware of any such problems at this time." In addition, she said, the board was wary because Edelman and Associates, a public relations firm "hired by many corporations seeking to promote an environmentally friendly image," had worked with the foundation to set up the awards and seek sponsors. The decision to reject the offer was attacked by SEJournal "Viewpoints" editor Peter Fairley, who described it as an example of "unchecked neutrality and a fear of risk-taking." Membership also continued to be a vexing issue. A look at its growth during the organization's first seven years gives a sense of the problems generated by success. Membership topped 1,000 in 1994. By 1997 it was holding at around 1,100. Within this pattern, however, were shifting currents. The most significant was the proportional decline of the organization's original base among active members who were regularly employed newspaper journalists, and a corresponding growth both in free-lancers and in associate and academic memberships. Membership director Amy Gahran reported in January 1993 that free-lancers were the second largest category of members after rewspaper journalists, because "so many people have lost full-time jobs." By 1997 active membership had dropped to 60 percent of the total of 1,068 members, down from 70 percent in 1991. Associate members were 23 percent of the total in 1997, and academic membership was 18 percent. In 1997, 281 members identified themselves as newspaper employees, 25 percent of the total and only slightly more than the 261 newspaper journalists who belonged in 1991. Free-lancers were 18 percent of the membership, growing from 50 in 1991 to 195 in 1997. In sum, SEJ had about the same number of newspaper-reporter members in 1997 as in 1991, but the organization as a whole had nearly doubled in size. The growth had come primarily from free-lancers, part-times, and academics. Little had come from broadcast reporters. The SEJ board responded to these trends in two ways. One, it restructured the board itself to include representation of non-active members. Two, it again fine-tuned membership criteria. In response to criticism that associate and academic members not only had no vote but no voice in the organization, the board approved a non-voting board seat each for associate and academic members in January 1995. At the fifth annual meeting the associate and academic consituencies elected their first representatives to the board — Adlai Amor of the Center for Foreign Journalists representing associate members, and JoAnn Valenti of Brigham Young University representing academic members. In response to continued challenges to membership decisions, a policy committee was formed in March 1996 and asked for proposals. In July 1996, a by-laws amendment was adopted to be offered to members; it attempted to clarify the status of those involved in public relations activities by prohibiting membership to all those engaged in "lobbying" — which in the view of board members included public relations activities. The amendment was withdrawn before it was voted on, on an attorney's advice that it was legally flawed because it did not define "lobbying." A new bylaws amendment was proposed by the board at the 1997 annual meeting in Tucson. Members had always been barred from engaging in lobbying or public relations activity on environmental issues. The 1997 amendment further barred active (and therefore voting) membership to anyone employed by a company or other organization engaged in environmental lobbying or public relations. It passed 113-2 with no discussion. Membership committee chair Michael Mansur explained that the change reinforces "the long-standing policy that our active members do not work for advocacy groups of any stripe. If a member's employer lobbies or does public relations work primarily on environmental issues, then that member would not be eligible for active status. Of course they would be eligible for associate status if they work as a writer for that group's general circulation publication." Directors also adopted guidelines for interpreting the membership criteria. According to Mansur, these were another attempt to codify existing practice. The guidelines define SEJ as a journalism organization, not a public relations, credentialing or advocacy organization. In considering applications, the guidelines state, SEJ doesn't consider the quality of the applicant's work, but does consider the applicant's job duties and employer. It doesn't consider for membership public relations practitioners or professional lobbyists. "SEJ wants its membership to be as open as possible in order to promote more journalism by more people about environmental issues." Basically details of internal organization, these membership criteria were nevertheless important because they contributed to a clearer definition of the practice of environmental journalism at a time of rapid change in journalism itself. In 1989, it seemed relatively clearcut to say that SEJ would be for "working journalists." The organization discovered, however, that the demarcations and overlaps among professional journalism, free-lancing, advocacy, public relations and lobbying were more difficult to identify. News staffs were reduced. Journalists moved in and out of free-lance work. Former special interest publications became available to the public either on the newstand or online. By 1997, SEJ had sharpened its definition of environmental journalists allowed full participation in the organization. They were journalists who produce published environmental work available to general audiences, and who are not paid to engage in lobbying or public relations activities on environmental issues, nor work for organizations that are so engaged. In a rapidly changing environment, part of the traditional ideal of journalistic objectivity — that part calling for independence from vested interests — had served as a central concept around which environmental journalists could define themselves.